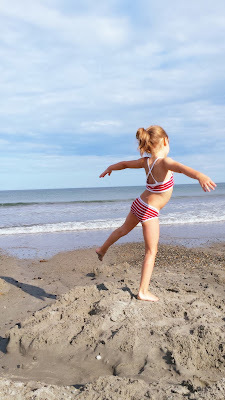 Eco-Babyz: Where Did Summer Go? Summer was long and slow when I was ten. It was rather enjoyable and fun, and long enough when I was fifteen. It picked up pace when I was twenty three and got married, it became a little shorter as both hubby and I worked full time. It turned into a whirlwind when I was holding an infant in my arms at the age of twenty five. Now at thirty one, with two kids, two family businesses, summer seems to have disappeared! Anyone else feel this way? It almost seems like each year is four weeks long and those weeks are winter, spring, summer, fall. That's how fast life is flying in front of me. This forces me to stop and enjoy separate moments, to create those moments, to say no to some things that rob me of precious time with the kids. To say yes to some things that enable me to spend more time with them - ironically for me that's photographing weddings on weekends, if it wasn't for that I'd have to find a day job and see the kids much less. I've had to learn to say no to social media. To temporarily say no to this blog, as much as it is another 'baby' of mine. To say no to people that always want something from me and drain me. To say "Yes, let's go to the beach!". 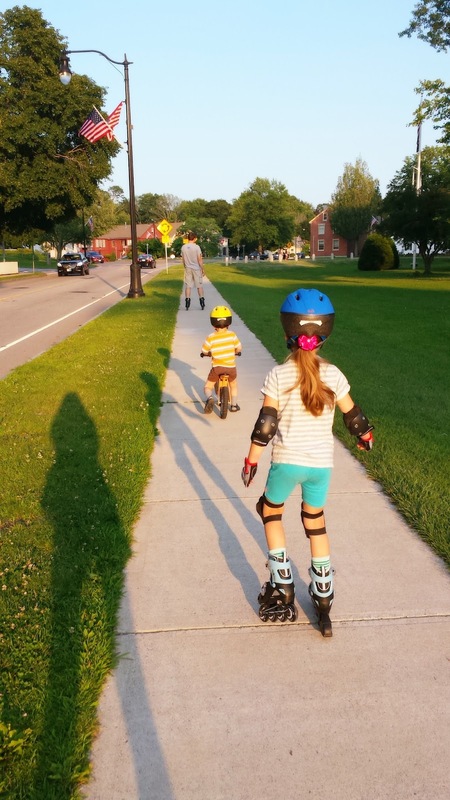 To say "Yes, how about rollerblading in the park!". To set aside the phone and give my littles a BIG hug. I don't want to remember this summer spent sitting in front of a screen, worrying about every little thing in running my business. It's amazing how when we let go off the worry, make time for our family, the rest just happens so much easier, it comes - maybe slower, but in it's own time. Not only that, but what will the kids remember? Mine are outdoor addicts and if I don't feed their addiction to fresh air and sunshine we would all drive each other nuts indoors. 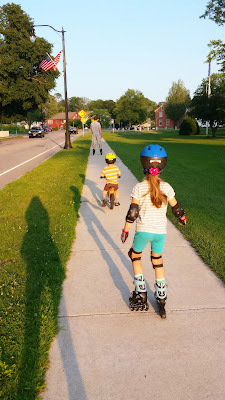 Summer may feel like it's eluded me, but we've most certainly made memories - painting a room together with our kids, creating their own new space, beach days with homeschoolers and friends, family rollerblading trips, lots of biking, splash parks, lake trips, and plenty of fresh air. We can't afford a tropical family vacation, not by a long shot, but you don't need a whole lot of money to make memories with your kids. 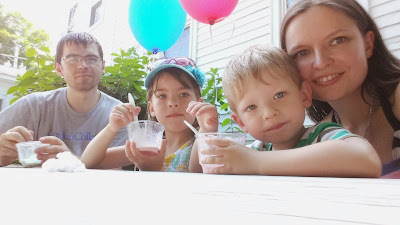 I spent as much time with them as I could before a very busy wedding season this August and September! Would love to hear about your summer! How do you keep it from escaping so quick and make memories? Cheers to lazy summer afternoons!